Those were the words from Dr. Edward O. Wilson’s book, Letters to a Young Scientist. As a student or a young professional, we often find ourselves questioning if we should be following our passion or if it is enough to trust our capabilities to lead the way. This difficult situation is not exclusive – deciding which path to take is one of life’s biggest challenges and often, it is much harder to keep up and stay on the chosen path. But sometimes, all it takes is to find a place where you can meet people with the same experiences and learn from them, to be inspired by other people’s work and to realize that there are opportunities out there. For more than a decade, the ISPRS Student Consortium (ISPRS SC) has been organizing different activities to engage youth and to provide various opportunities for capacity building and establishing social and professional networks. The ISPRS SC continues the pursuit of fostering the younger generation, who are the future of ISPRS. 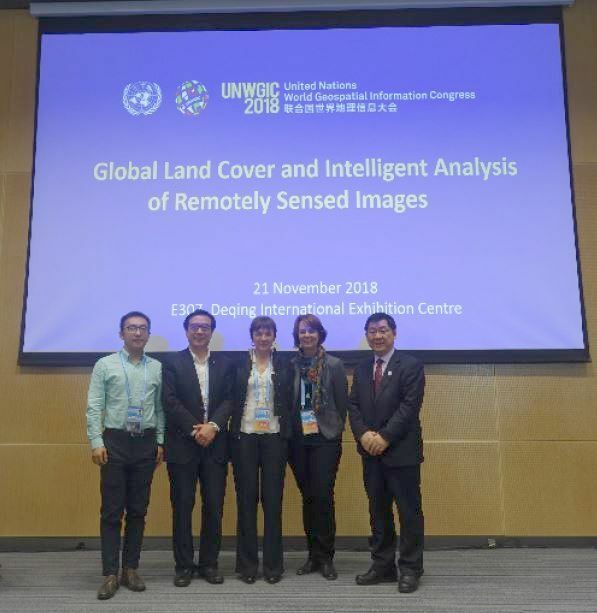 It has been serving as a platform of exchange among students, researchers, professionals, and experts in the field of remote sensing, photogrammetry, and spatial information science. The ISPRS SC has realized that we now live in a dynamic and technology-driven world, resulting to the changing needs of the younger generation and their desire to keep up with the most recent trends in different fields of expertise. A future of collaboration and cooperation among various disciplines is now beginning to unfold and it challenges our creativity and resourcefulness, as well as our capabilities to step out of our comfort zone and find the courage to reach out and work with others beyond the limits of our profession. Our digital and fast-paced environment offers possibilities enabling multidisciplinary and trans-disciplinary research and amazing advancements in the industry. This year, the ISPRS SC has started to broaden its perspectives, beginning with the repackaging of the Newsletter, branding it under the name SpeCtrum – exploring the role of geospatial information and technology in different fields and applications. Four summer schools were organized this year, reaching out to some 200 students and young professionals across the globe. 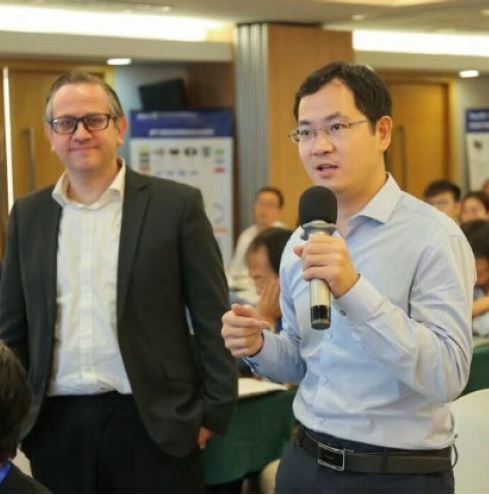 We also partnered with Thailand’s Geo-informatics and Space Technology Development Agency (GISTDA) and the ASEAN Research and Training Center for Space Technology and Applications (ARTSA) to organize and host MOTIVATE Learning: Making Opportunities To Initiate Valuable Alliance Through Experiential Learning. 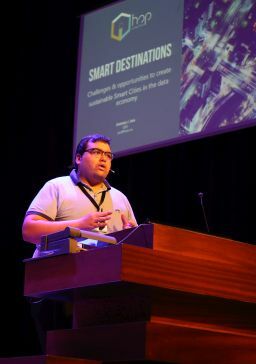 The event, which is part of the ISPRS Education and Capacity Building Initiatives, featured an upgraded version of the Summer School + Hackathon, where 20 participants showcased innovative ideas, and the Spatial Exchange Program, which pioneered the organization’s program in involving participants in international research under the guidance of mentors from renowned organizations. Last September, the Webinar series was finally launched with an introduction to the state-of-the-art geospatial processing platform, Google Earth Engine. The ISPRS SC hopes to continue working on activities that will encourage youth to get involved and to create more opportunities for experiencing learning in a comfortable and nurturing environment. 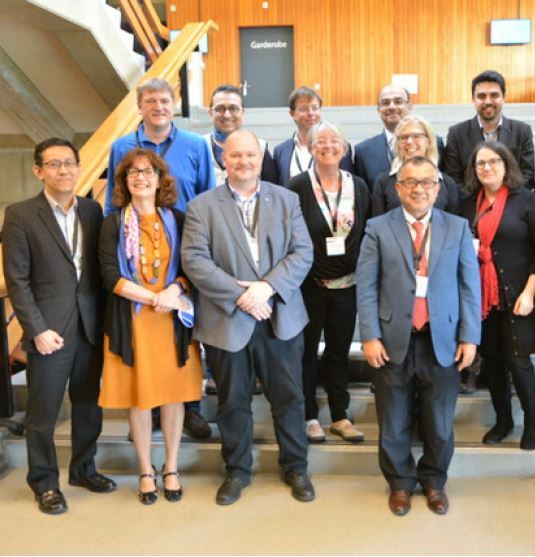 The support of the ISPRS Council and the generosity of experts, professors and researchers in sharing their valuable time and knowledge to our community have enabled the ISPRS SC to expand its horizons and develop new ideas. We are continually looking for individuals keen to serve and who are willing to share their time and skills with the organization, with an enthusiasm to learn more about teamwork, coordination, and leadership. Get connected with us and visit the ISPRS SC website: sc.isprs.org. Full papers accepted after the review process organised by the workshop convenors will be published in the ISPRS Annals. Authors of accepted extended abstracts (around 1000 words) will be invited to submit their full paper in a later stage for publication in the ISPRS Archives. The deadline for full paper submission is 17 January. The deadline for abstract submission is 4 February. All important dates, author guidelines, and information on the reviewing procedure can be found on the Geospatial Week website through the Participate! menu. Information on tutorials, to be held on Sunday 9 June, and hotels will be published shortly. We’re looking forward to your participation in the ISPRS Geospatial Week 2019! TIF Travel Grant Report – ISPRS TC V Mid Term Symposium on "Education & Outreach - Geospatial technology – Pixel to People"
The ISPRS Foundation provides travel grants to enable young authors, distinguished speakers, and officially designated Delegates, especially from developing countries, to participate in ISPRS sponsored events and in forums promoting international cooperation, advancements and benefits of the P&RS&SI sciences. Click here to complete your travel grant application online. Deadline for applications to attend the Geospatial Week 2019, is March 11, 2019. Successful applicants will be notified by March 25, 2019. An overwhelming majority of Ordinary members approved the postal ballot for Associate membership of IEEE/GRSS Brazil Chapter. 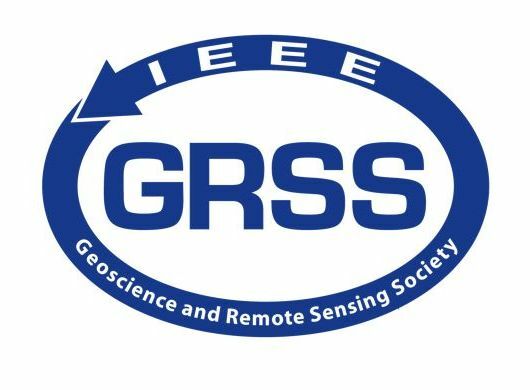 The IEEE/GRSS Brazil Chapter is a non-profit organization that has dedicated itself to supporting Geoscience and Remote Sensing education and research in Brazil. Their goal is to enhance communication and collaboration between academia, state administration, and industry. The chapter's members benefit from various programs including the Distinguished Speakers, Regional Speakers, and other Education and Awards programs provided by the IEEE Geoscience and Remote Sensing Society (GRSS) in support of Chapters. supported by ISPRS Student Consortium (SC) at all of the organisations events, e.g. the XXVII Brazilian Congress of Cartography, the XVIII Brazilian Symposium of Remote Sensing, the SIBGRAPI - Conference on Graphics, Patterns and Images, and the promotion, on a yearly basis, of the “IEEE/GRSS-Young Professionals & ISPRS WG V/5 and Student Consortium Summer Schools”. The Mohammed Bin Rashid Space Centre (MBRSC) is integral to the strategic initiative put in place by the Dubai government to inspire scientific innovation, technological advancement, and to advance sustainable development in the United Arab Emirates. PhotoGAUGE, Inc. is a California-based startup that offers photogrammetry-based measurement and inspection services to manufacturers. The proprietary workflow takes a series of photographs obtained using commodity cameras, converts them into an accurate 3D scan and compares them to manufacturer’s specifications to produce customized outputs. The accuracy and precision of their outputs are only as good as the photogrammetry pipeline is, and therefore a fundamental understanding of the underpinning concepts is paramount to the success. The founders of PhotoGAUGE come from a Computer Vision background. They were recently introduced to the activities of ISPRS by a contact at the Indian Institute of Remote Sensing. Council heartily welcomes the new members to ISPRS and looks forward to a strong collaboration with each of them in the future. 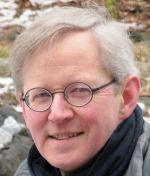 In accordance with the statutory mission and activities of ISPRS, the Society shall provide funds to support scientific and other initiatives, which will further improve its international status in the field of the photogrammetry, remote sensing and spatial information sciences, and will therefore benefit all ISPRS members. The Scientific Initiatives is a program ISPRS has carried out for one of its focuses on science and development. After two rounds of calls for Scientific Initiatives projects for 2014, 2015 and 2017 physical years, the Council issued a new call in June 2018 for 2019 projects, with an original total budget of 60,000 Swiss Francs. A new collaboration between GEO and Amazon Web Services (AWS) offers GEO Member agencies and research organizations from developing countries access to cloud services to help with the hosting, processing and analysis of big data about the Earth to inform decisions for sustainable development. Recipients of cloud credits through this initiative will also receive support from the GEO community and AWS experts to refine and implement their projects for the best possible results. AWS and GEO first announced their collaboration in 2017 to support the Global Earth Observation System of Systems (GEOSS) open data platform. In conjunction with the ISPRS Geospatial Week 2019, June 10-14, 2019. CIPA - Heritage Documentation - is an international non-profit organization that applies technologies for the benefit of recording, conserving and documenting cultural heritage in all its possible forms. CIPA keeps up with technologies and ensures their usefulness for cultural heritage conservation, education and dissemination. CIPA, co-founded by ISPRS and ICOMOS in 1968, organises every odd year an international symposium. The symposium will provide a platform for the exchange of ideas, best practices as well as scientific research papers in the field of cultural heritage. Papers in all areas of 3D recording, modelling, conservation, documentation, valorization and preservation of Cultural Heritage are invited. Some tutorials, focusing on underwater photogrammetry, structural analyses, inventory and management of heritage, HBIM and virtual / augmented / mixed reality for heritage, will open the Symposium. Full Papers for the ISPRS Annals are due to Feb 22nd, 2019 whereas Abstracts for the ISPRS Archives are due to March 4th, 2019. We are pleased to invite you to submit an abstract and, in case of acceptance, your paper to this conference. All accepted papers will be published in ISPRS Archives. The ISPRS Archives are listed in the ISI Conference Proceedings Citation Index (CPCI) of the Web of Science, SCOPUS, and the Directory of Open Access Journals (DOAJ). Meneses, Bruno M., Reis, Eusébio, Reis, Rui, Vale, Maria J.
Rahaman, Khan Rubayet, Ahmed, M. Razu, Hassan, Quazi K.